In all, there were more than 200 suggestions of names for NOVAER’s new trainer, alluding to different themes, and the choice of the winning name was held by the company after a careful analysis that took into account the sound, originality and the non existence of similar names in the aircraft market. SOVI is a genuinely Brazilian bird, from the hawk family. Its scientific name, Ictinea plumbea, means “Lead-colored Hawk”, which refers to the color of the carbon fiber used in the aircraft production. In addition to that, its wing feathers are orange in color, which refers to the color usually used air forces training, including the Brazilian Air Force Academy. Like the NOVAER aircraft, the SOVI is a medium-sized, lightweight hawk, agile, aggressive and with territorial habits, which is an interesting parallel to military aviation and the expected characteristics of a fighter pilot. The name revelation ceremony took place on Thursday (12/04), in the Hall of Command of the Air Force Academy in Pirassununga, and had the distinguished presence of the AFA Commander, Air Brigadier Carlos Eduardo da Costa Almeida and the fifteen finalists, including officers, cadets and sergeants, who contributed with significant suggestions. 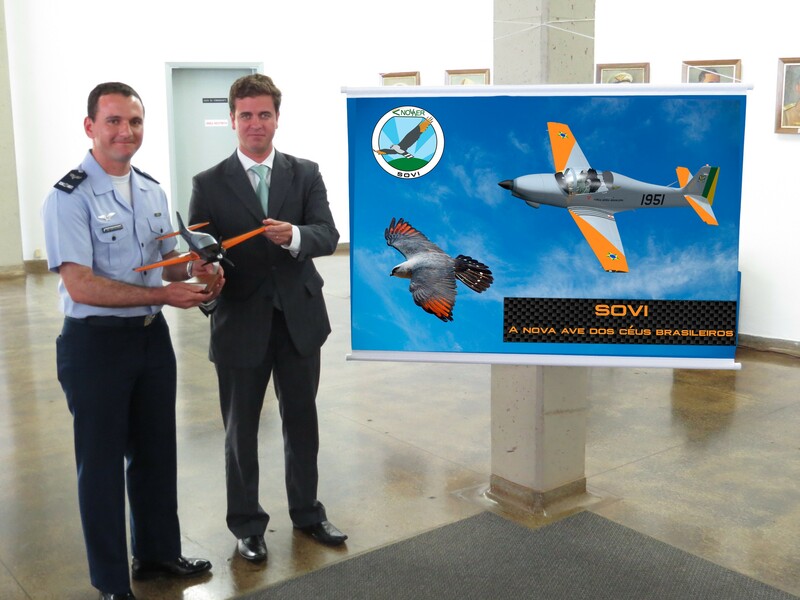 At the end of the ceremony, the name of NOVAER’s military training aircraft was revealed and the two winners of the contest, which coincidentally suggested the same name, were awarded. 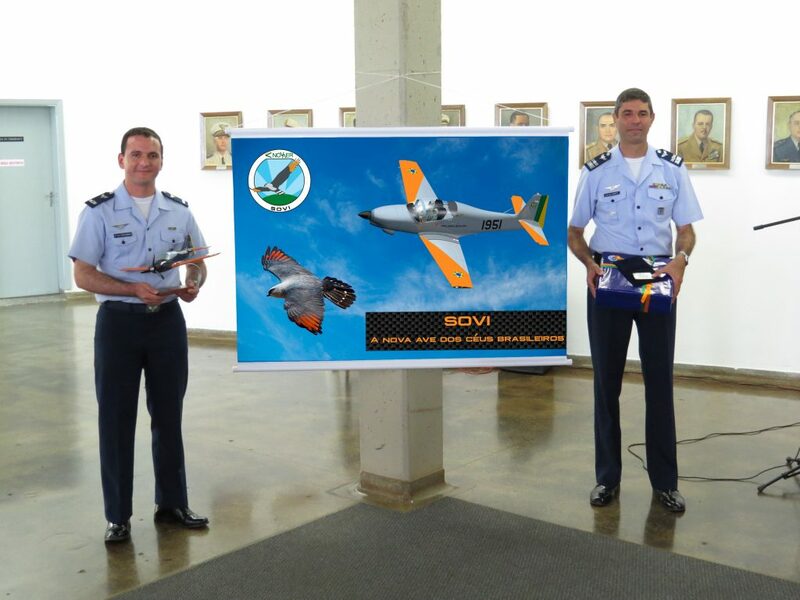 The winners are, Lieutenant Colonel Marcelo Cardoso GOBETT and First Lieutenant Aviator Thiago Romeiro CAPUCHINHO. 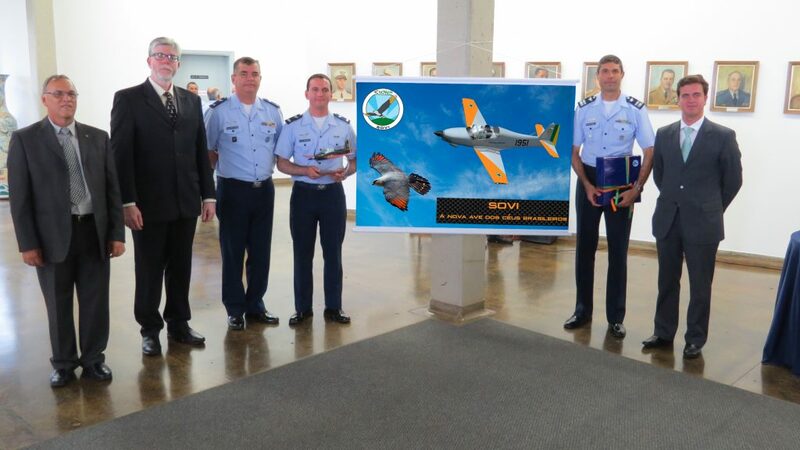 NOVAER thanks the Brazilian Air Force and the Air Force Academy for the support and encouragement of this contest, which allowed us to re-edit the story and represents another step towards the journey that this genuinely Brazilian aircraft is covering to hit the skies of Brazil and the world.